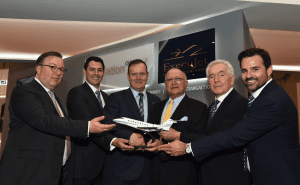 JetHQ finalised an agreement in May 2018 with Luxaviation to acquire Luxaviation’s Aircraft Transaction arm. JetHQ has representation in the UAE, USA, India and Turkey. The acquisition of Luxaviation’s aircraft sales entity will strengthen JetHQ’s presence in Europe, further consolidating JetHQ’s global reach and enabling JetHQ to become a key player in the provision of aviation brokerage services worldwide.